2019 is a great year. There’s so much to look forward to. For many people across the world, the 53rd Super Bowl is one of the biggest deals happening this year. If the recorded number of active followers of Super Bowl LII is anything to go by, then expectations for 2019 are higher! The fact that the number of options through which interested viewers can enjoy the live happenings has increased leaves one more elated. This is the 53rd modern era football championship game which will determine the 2018 National Football League champion for the season. Mark the date; it’s all going down on February 3, 2019. Yes, in less than a month, we will be streaming this big event. If you are in Georgia, you will be pleased to know that the championship will be happening at the Mercedes-Benz Stadium in Atlanta. 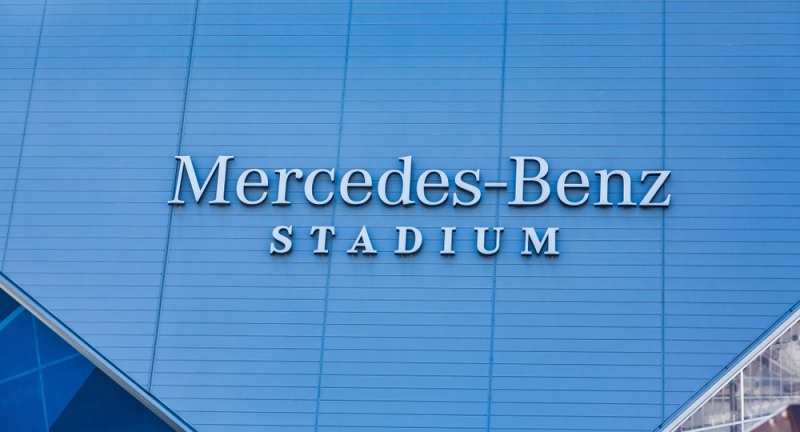 The Mercedes-Benz stadium is all new noting that it only became operational after recent official commissioning around mid-2017. Georgia residents know the location of this stadium but just in case you are new to this region, the state of the art stadium is located a few yards from Georgia Dome. Georgia Dome was the host for the year 2000 edition of Super Bowl. How Can You Watch The Game? If you got the access and the money, then you can watch the game in person from Mercedes-Benz stadium. But being a world-class event, you have to be prepared to part with a handsome amount of dollars to get a seat in the stadium. I don’t know about your financial position but are there any other options for people who do not want to spend heavily, living on the edge or simply looking for better alternatives? The super bowl 2019 edition will be live on CBS TV. So, yes, as long as you are in the United States and able to access cable TV, CBS got you sorted. They will be bringing the live event. Here is some good news, no access to CBS’ live streaming? Don’t stress, you will still have an opportunity to follow the championship through online streaming. For US residents, CBS has promised live streaming via CBSSports.com. They say that you will be able to access the live events of the day without a sign-in prompt. Great news, right? Online streaming is the best way to catch the Super Bowl live online. CBS has also promised that it will be guaranteeing access to their live streaming partners like Samsung TVs, Chrome cast, Fire TV, other satellites and telecoms. This only means that you will have enough options to choose from. All you need is your laptop or smartphone and a good internet connection, and then you can enjoy the live streaming from the comfort of your couch. Can You Stream Live If You Are Not A United StatesResident? The answer to this is yes and no. Well, it depends on how well you will be pre-positioned. See, the live streaming websites have geo-limitations. What does this mean? You will face blocks if you will be trying to access the content from a location that is not within the set limit. So if you try this, you will not be able to access the super bowl championship. That’s the ‘no’ explanation. Luckily, there’s another hand, you can have your way through to a live experience of the events that will be going down in Georgia using a VPN. Yes, a VPN is the only way out for non-US residents. All that will be required of you is that connect to a VPN with a server in Georgia. VPN is a network system that among other things masks your real geographical location. What does this mean? That wherever you will be, whether in a small country in Africa, Asia or anywhere in the world, you will be able to enjoy the 2019 Super Bowl. All you need to do is your android device, good internet connection and a connection to a VPN.